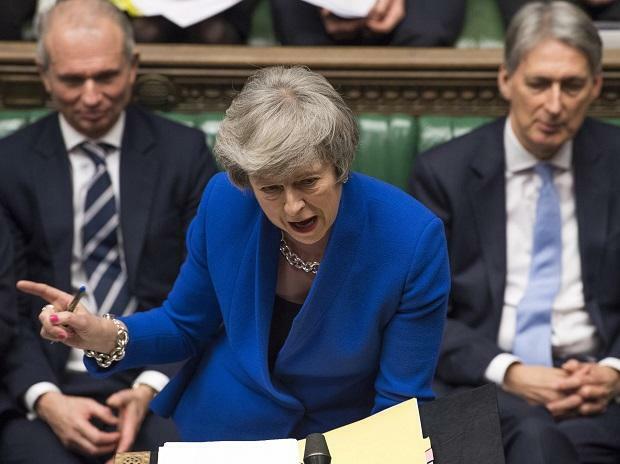 British Prime Minister Theresa May's government remained defiant after Parliament took partial control of the stalled process of leaving the European Union, arguing Tuesday that the maneuvering simply underscores the need for lawmakers to approve her twice-defeated deal. Almost three years after Britons voted to leave the EU, the date and terms of its departure are up in the air. Last week the EU granted Britain a delay to the scheduled March 29 exit date, saying that if Parliament approved the proposed divorce deal, the UK would leave the EU on May 22. If not, the government has until April 12 to tell the 27 remaining EU countries what it plans to do leave without a deal, cancel Brexit or chart a path to a new option. Lawmakers who backed Monday's motion, which passed 329-302, hope to find an alternative that can command a majority in Parliament by holding a series of "indicative votes" on other options. Those alternatives could include a "soft Brexit" that maintains close economic ties with the EU or scrapping Brexit entirely. "I have always thought that 'no deal' is better than May's deal, but May's deal is better than not leaving at all," he said on the Conservative Home podcast. "I did not believe the government was prepared to do that, so had to vote to ensure this happens.